Match ends, Nantes 2, Lille 3. 90+7' Second Half ends, Nantes 2, Lille 3. 90+4' Corner, Nantes. Conceded by Adama Soumaoro. 90+1' Youssouf Kone (Lille) wins a free kick in the defensive half. 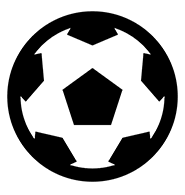 90+1' Foul by Gabriel Boschilia (Nantes). 90' Substitution, Lille. Thiago Maia replaces Nicolas Pepe. 89' Foul by Xeka (Lille). 89' Gabriel Boschilia (Nantes) wins a free kick in the attacking half. 87' Substitution, Nantes. Gabriel Boschilia replaces Fabio. 85' Substitution, Lille. Jonathan Ikone replaces Loïc Remy. 84' Substitution, Nantes. Anthony Limbombe replaces Valentin Eysseric. 83' Xeka (Lille) wins a free kick in the attacking half. 83' Foul by Valentin Rongier (Nantes). 82' Penalty missed! Bad penalty by Valentin Eysseric (Nantes) right footed shot is just a bit too high. Valentin Eysseric should be disappointed. 81' Penalty conceded by Mehmet Zeki Çelik (Lille) after a foul in the penalty area. 81' Penalty Nantes. Valentin Eysseric draws a foul in the penalty area. 80' Foul by Loïc Remy (Lille). 80' Edgar Ié (Nantes) wins a free kick on the right wing. 79' Substitution, Nantes. Samuel Moutoussamy replaces Lucas Evangelista. 79' Thiago Mendes (Lille) wins a free kick in the attacking half. 79' Foul by Lucas Evangelista (Nantes). 76' Delay in match Nicolas Pepe (Lille) because of an injury. 75' Nicolas Pallois (Nantes) is shown the yellow card for a bad foul. 75' Nicolas Pepe (Lille) wins a free kick in the defensive half. 75' Foul by Nicolas Pallois (Nantes). 75' Lucas Lima (Nantes) wins a free kick in the defensive half. 74' Offside, Nantes. Abdoulaye Touré tries a through ball, but Valentin Rongier is caught offside. 74' Rafael Leão (Lille) is shown the yellow card for a bad foul. 74' Foul by Rafael Leão (Lille). 74' Valentin Rongier (Nantes) wins a free kick in the defensive half. 71' Valentin Eysseric (Nantes) is shown the yellow card for a bad foul. 71' Youssouf Kone (Lille) wins a free kick on the left wing. 71' Foul by Valentin Eysseric (Nantes). 71' Adama Soumaoro (Lille) wins a free kick in the defensive half. 69' Goal! Nantes 2, Lille 3. Jonathan Bamba (Lille) right footed shot from very close range to the bottom left corner. Assisted by Nicolas Pepe. 68' Foul by Youssouf Kone (Lille). 68' Fabio (Nantes) wins a free kick in the attacking half. 68' Goal! Nantes 2, Lille 2. Nicolas Pepe (Lille) converts the penalty with a left footed shot to the bottom right corner. 67' Penalty Lille. Nicolas Pepe draws a foul in the penalty area. 67' Penalty conceded by Fabio (Nantes) after a foul in the penalty area. 66' Nicolas Pepe (Lille) wins a free kick on the right wing. 66' Foul by Lucas Evangelista (Nantes). 66' Attempt blocked. Thiago Mendes (Lille) right footed shot from outside the box is blocked. Assisted by Nicolas Pepe. 65' Attempt missed. Xeka (Lille) right footed shot from outside the box is high and wide to the right. 64' Thiago Mendes (Lille) wins a free kick in the defensive half. 64' Foul by Lucas Evangelista (Nantes). 63' Delay in match Diego Carlos (Nantes) because of an injury. 62' Goal! Nantes 2, Lille 1. Rafael Leão (Lille) right footed shot from the left side of the six yard box to the bottom right corner. Assisted by Adama Soumaoro with a headed pass following a corner. 61' Corner, Lille. Conceded by Diego Carlos. 61' Nicolas Pepe (Lille) wins a free kick in the attacking half. 61' Foul by Valentin Eysseric (Nantes). 61' Attempt missed. Nicolas Pallois (Nantes) left footed shot from the left side of the box is close, but misses to the right. Assisted by Lucas Lima with a headed pass. 60' Attempt blocked. Valentin Eysseric (Nantes) right footed shot from the centre of the box is blocked. 60' Attempt blocked. Valentin Eysseric (Nantes) right footed shot from the centre of the box is blocked. Assisted by Valentin Rongier. 60' Valentin Eysseric (Nantes) wins a free kick on the right wing. 59' Attempt missed. Valentin Rongier (Nantes) right footed shot from outside the box is close, but misses to the right. Assisted by Lucas Lima. 59' Substitution, Lille. Rafael Leão replaces Luiz Araujo. 58' Foul by Adama Soumaoro (Lille). 58' Kalifa Coulibaly (Nantes) wins a free kick in the defensive half. 56' Goal! Nantes 2, Lille 0. Kalifa Coulibaly (Nantes) header from the centre of the box to the top right corner. Assisted by Fabio. 55' Corner, Lille. Conceded by Diego Carlos. 55' Attempt blocked. Loïc Remy (Lille) right footed shot from the right side of the box is blocked. Assisted by Mehmet Zeki Çelik. 54' Goal! Nantes 1, Lille 0. Valentin Eysseric (Nantes) converts the penalty with a right footed shot to the high centre of the goal. 53' Thiago Mendes (Lille) is shown the yellow card. 51' Delay in match (Lille). Video Review. 51' Penalty conceded by Mehmet Zeki Çelik (Lille) after a foul in the penalty area. 51' Penalty Nantes. Abdoulaye Touré draws a foul in the penalty area. 50' Corner, Lille. Conceded by Edgar Ié. 49' Corner, Lille. Conceded by Lucas Evangelista. 48' Offside, Nantes. Nicolas Pallois tries a through ball, but Kalifa Coulibaly is caught offside. 48' Foul by Nicolas Pepe (Lille). 48' Lucas Evangelista (Nantes) wins a free kick in the defensive half. 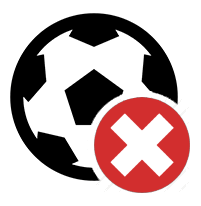 47' Foul by Luiz Araujo (Lille). 47' Valentin Rongier (Nantes) wins a free kick in the defensive half. Second Half begins Nantes 0, Lille 0. 45+3' First Half ends, Nantes 0, Lille 0. 45+2' Foul by Luiz Araujo (Lille). 45+2' Fabio (Nantes) wins a free kick in the attacking half. 45+1' Foul by Xeka (Lille). 45+1' Fabio (Nantes) wins a free kick in the defensive half. 45' Attempt missed. Nicolas Pepe (Lille) left footed shot from the centre of the box is close, but misses to the left. Assisted by Luiz Araujo. 44' Attempt missed. Luiz Araujo (Lille) left footed shot from the left side of the box is close, but misses to the left. Assisted by Jonathan Bamba with a through ball. 40' Offside, Nantes. Maxime Dupé tries a through ball, but Kalifa Coulibaly is caught offside. 37' Attempt missed. Valentin Eysseric (Nantes) left footed shot from the centre of the box is too high. Assisted by Lucas Lima. 35' Corner, Lille. Conceded by Diego Carlos. 33' Corner, Nantes. Conceded by Adama Soumaoro. 33' Foul by Thiago Mendes (Lille). 33' Lucas Lima (Nantes) wins a free kick in the defensive half. 29' VAR: Penalty Kick. Referee decision on field cancelled. 29' Delay in match (Lille). Video Review. 28' Offside, Lille. Thiago Mendes tries a through ball, but Loïc Remy is caught offside. 28' Foul by Xeka (Lille). 28' Lucas Evangelista (Nantes) wins a free kick on the left wing. 27' Attempt missed. Nicolas Pepe (Lille) header from the centre of the box misses to the left. Assisted by Mehmet Zeki Çelik with a cross. 26' Delay in match Nicolas Pallois (Nantes) because of an injury. 22' Thiago Mendes (Lille) wins a free kick in the defensive half. 22' Foul by Lucas Evangelista (Nantes). 21' Foul by Xeka (Lille). 21' Valentin Eysseric (Nantes) wins a free kick on the left wing. 19' Thiago Mendes (Lille) wins a free kick in the defensive half. 19' Foul by Lucas Evangelista (Nantes). 16' Foul by José Fonte (Lille). 16' Valentin Eysseric (Nantes) wins a free kick on the left wing. 15' Kalifa Coulibaly (Nantes) wins a free kick in the attacking half. 12' Nicolas Pepe (Lille) wins a free kick on the right wing. 12' Foul by Lucas Lima (Nantes). 12' Loïc Remy (Lille) wins a free kick on the right wing. 12' Foul by Nicolas Pallois (Nantes). 8' Offside, Nantes. Fabio tries a through ball, but Kalifa Coulibaly is caught offside. 7' Corner, Nantes. Conceded by Mehmet Zeki Çelik. 5' Nicolas Pepe (Lille) is shown the yellow card for a bad foul. 5' Foul by Nicolas Pepe (Lille). 5' Lucas Evangelista (Nantes) wins a free kick in the defensive half. 5' Thiago Mendes (Lille) wins a free kick in the defensive half. 5' Foul by Valentin Eysseric (Nantes). 4' Foul by Loïc Remy (Lille). 4' Abdoulaye Touré (Nantes) wins a free kick in the defensive half. 3' Foul by Youssouf Kone (Lille). 3' Valentin Eysseric (Nantes) wins a free kick in the defensive half. 3' Attempt blocked. José Fonte (Lille) with an attempt from the centre of the box is blocked. Assisted by Xeka with a cross. 2' Corner, Lille. Conceded by Diego Carlos.